Data storytelling is predicted to be the top business skill of the next 5 years. Well told data stories are change drivers within the modern organisation. But how do we find the most important insights in our business data and communicate them in a compelling way? How do we connect the data that we have to the key underlying business issue? 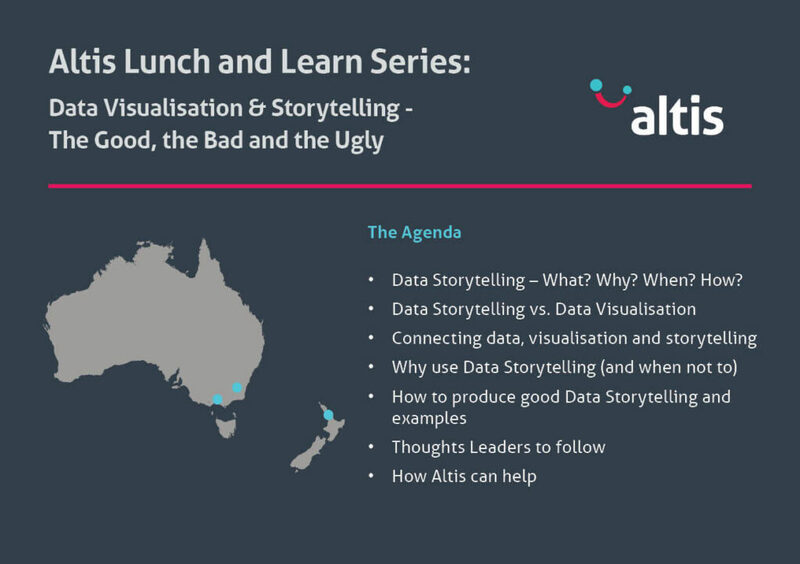 We will be kicking off our Lunch and Learn series with a session on Data Visualisation & Storytelling, on the 29th of November in our Melbourne, Canberra and Auckland offices 12pm local time. NSW and UK sessions will be confirmed shortly.